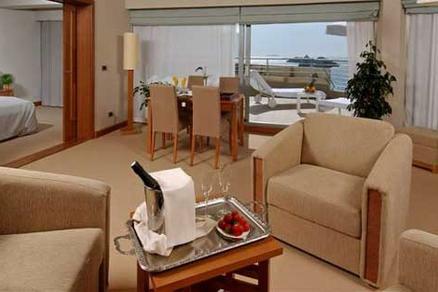 Dubrovnik Palace and Spa, Croatia 0.0 out of 5 based on ratings. 0 user reviews. Dubrovnik Palace and Spa is located on the Lapad Peninsula 5 km (3 mi) from the historic city center of Dubrovnik in Croatia. The Dubrovnik Palace's spa offers massage and beauty treatments including reflexology, aromatherapy, oxygen facials, and mud wraps plus a fitness center, sauna, spa tub, relaxation area, and indoor pool. The Dubrovnik also offers three outdoor pools, a main pool with a spa tub and a swim-up bar, a children's pool, and a VIP pool by the beach all of which are freshwater pools.